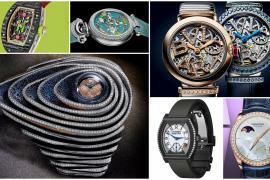 The 29th Salon International de la Haute Horlogerie wrapped up in Geneva with a number of watches emerging as the year’s best highlights. We take a look at some of the most talked about men’s timepieces this year and share some of our favourite novelties from top luxury watchmakers. 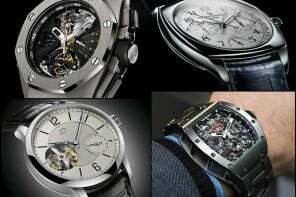 One of the most talked about watches at SIHH is Audemar Piguet’s Code 11.59. 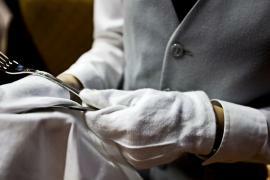 The watchmaker had been alluding to the new collection for a while before the launch. The pre-SIHH release was met with mixed emotions, however, as some questioned the aesthetics of the piece. However, a chance to observe the novelty at close range did a lot to change minds. From the open lugs to the octagonal mid-case that nods to the house’s iconic Royal Oak, Code 11.59 is rich with design details that require close examination to discover and appreciate. 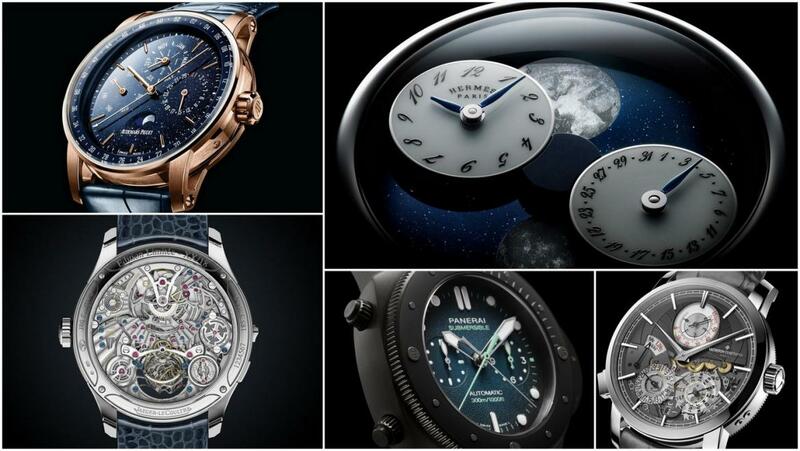 The collection is one of the largest the house has ever presented in a single launch, with 13 individual references comprising five complications and three new movements. From simple three-hand watches to the grande sonnerie and perpetual calendar, the range confirms the house’s mechanical prowess. 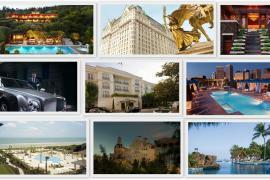 Our favourite among the 13 is the Perpetual Calendar. The counters and indices, including a moonphase at 6 o’clock, are all set against an aventurine dial inside a rose-gold case, giving it a dreamy, celestial feel. 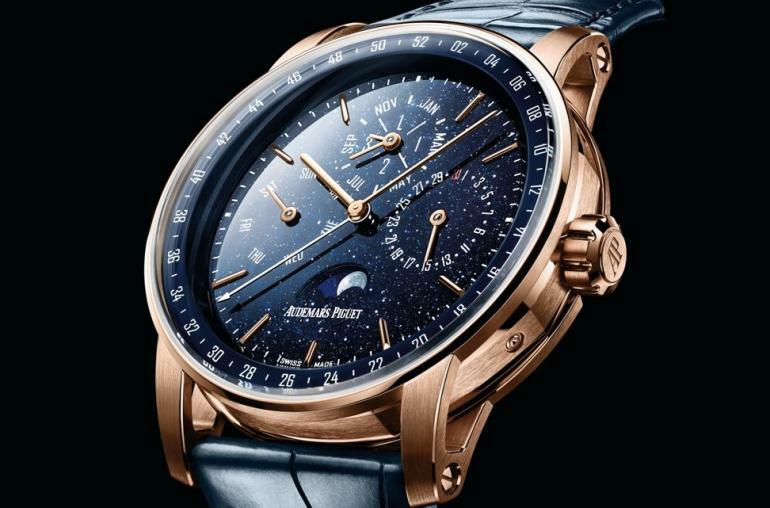 Vacheron Constantin came up with an ingenious way to prolong the power reserve, and there’s no complication more fitting for this new technology than the perpetual calendar. 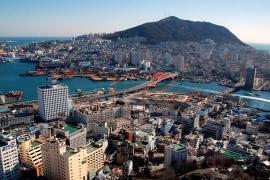 When running at a low frequency, a watch’s accuracy can easily be affected by external turbulence. 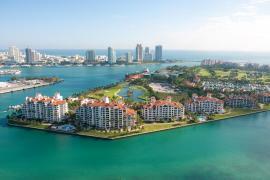 However, a higher frequency means more power is needed. 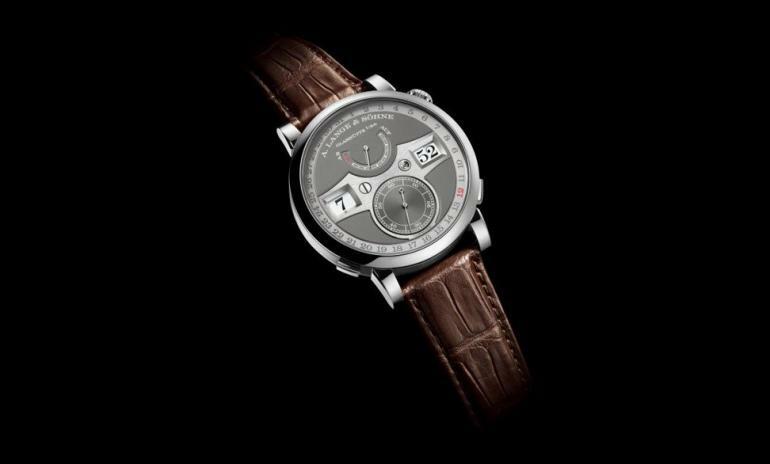 The watchmaker’s new Traditionnelle Twin Beat Perpetual Calendar offers the option to power the timepiece at two frequencies, 5 and 1.2 hertz. 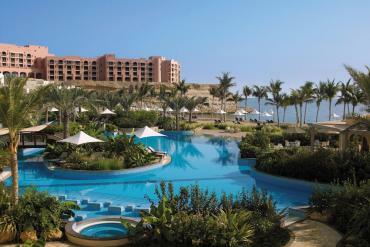 All of the timepiece functions can operate in full swing for four days at 5 hertz. But when not in use, the watch can be programmed to run at 1.2 hertz, which extends its power reserve by well over 60 days. 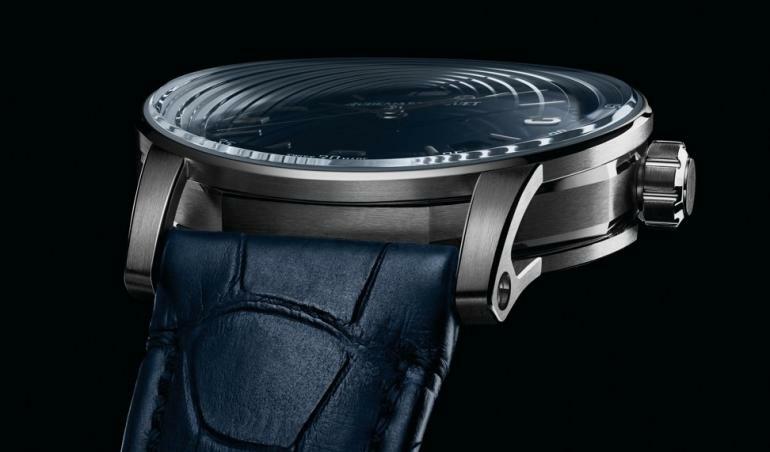 This mechanical feat is achieved with two oscillators that are driven by a single energy source, lending the movement its incredible skinniness – it’s only 6mm thick. On the 10th anniversary of its mechanical-digital timepiece Zeitwerk, A. Lange & Sohne unveiled a rendition with a sweeping date display. At the time of its launch, the Zeitwerk offered a fresh take on displaying the hours and the minutes via discs through two apertures. The watchmaker’s mechanical take on the digital watch gets the added date function this year, with a hand pointing to the date display around the edge of the dial. 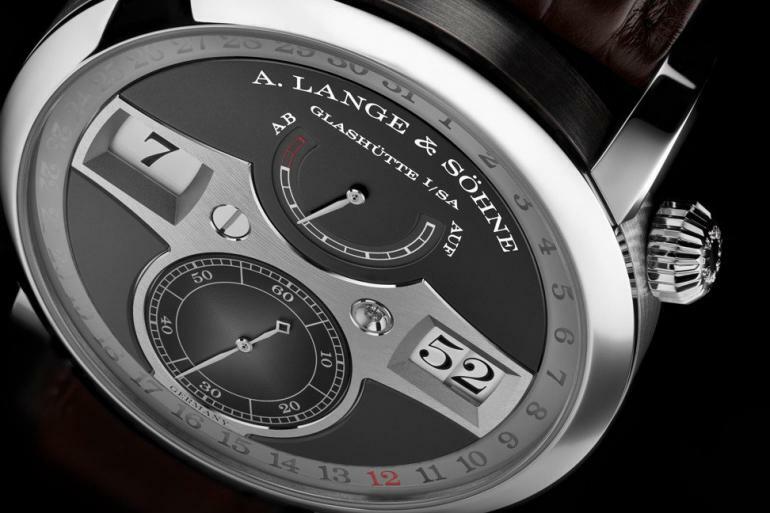 A. Lange & Söhne marks the 10th anniversary of the Zeitwerk with this Zeitwerk Date. Also seen across the dial are the power reserve indication at 12 o’clock as well as the small seconds counter at 6 o’clock. 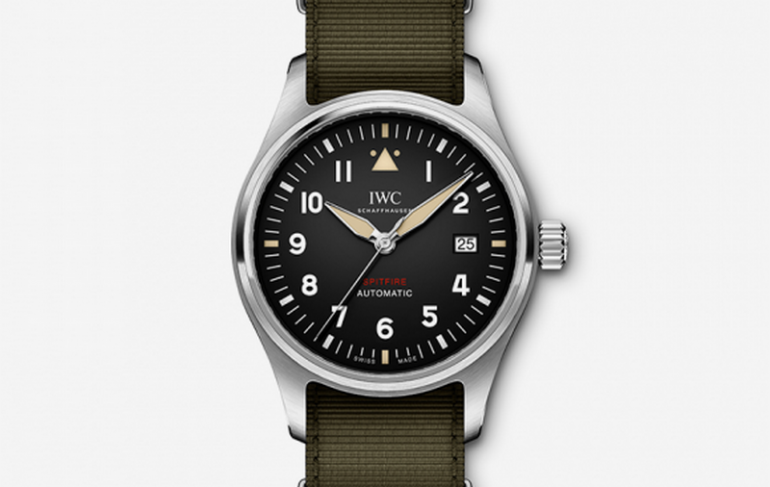 Although not a first time collaborator, IWC sealed the deal with Spitfire this year in an official partnership that sees the watchmaker launch the Spitfire series almost as a stand-alone collection. The Spitfire is an extension of the Pilot’s Watch series, now offered in two distinct interpretations, stainless-steel cases with black dial and green Nato straps, as well as cases cast in bronze and paired with olive-green faces. 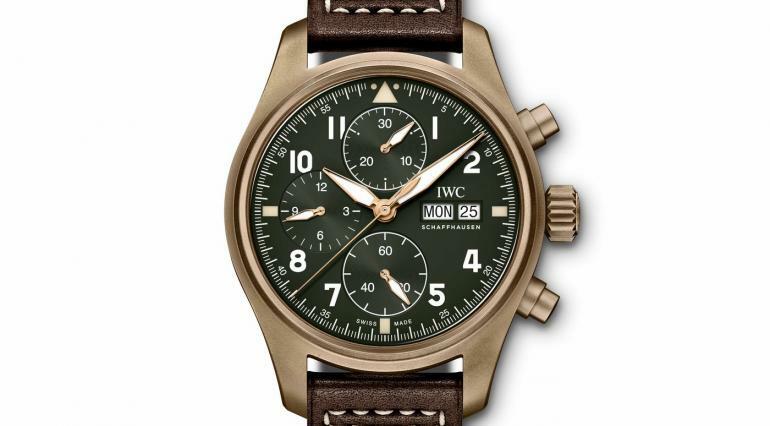 Both shades of green found on the strap and dials are said to be a nod to the Silver Spitfire’s interiors. 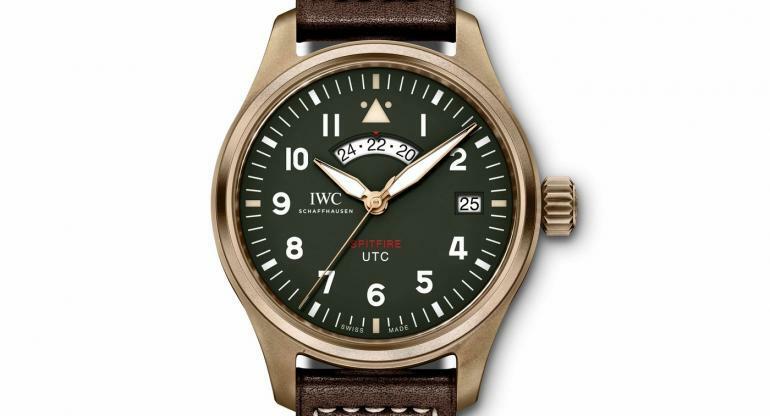 IWC also reintroduced the UTC movement in a Pilot’s Watch; the UTC Spitfire Edition “MJ271” is presented as a limited edition, with only 271 pieces to be produced in bronze with an olive-green dial. The watchmaker known for creating numerous whimsical and playful complications has finally launched a timepiece that looks as complex as it is built. Hermès has always taken a witty approach to time-telling, often with some impressive watchmaking (think Le Temps Suspendu stoppable hands). 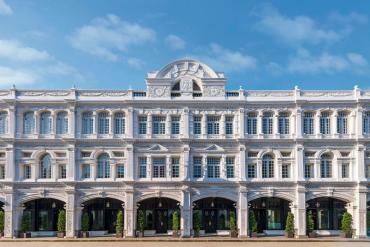 However, they’re also characterised by their classic, understated design. This year, however, the house created a watch with a dial interesting enough to match its complication movement, a double moonphase. 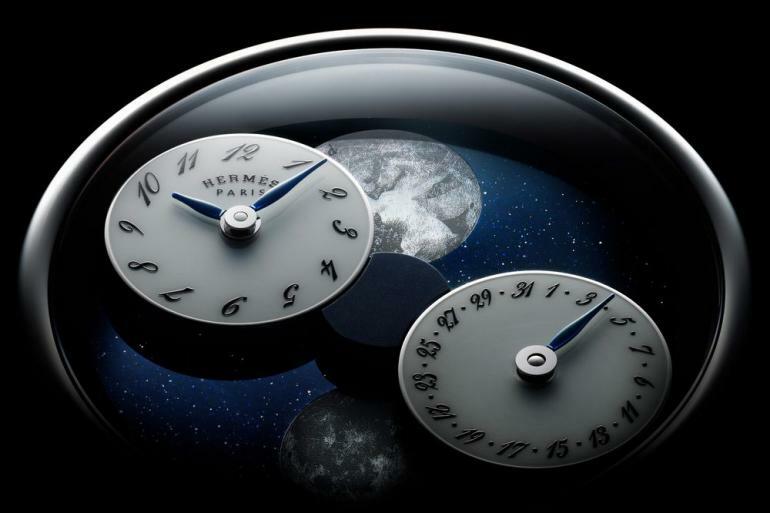 The Hermès Arceau L’Heure De La Lune shows two moons in mother-of-pearl under a pair of rotating dials that indicate the time and date. 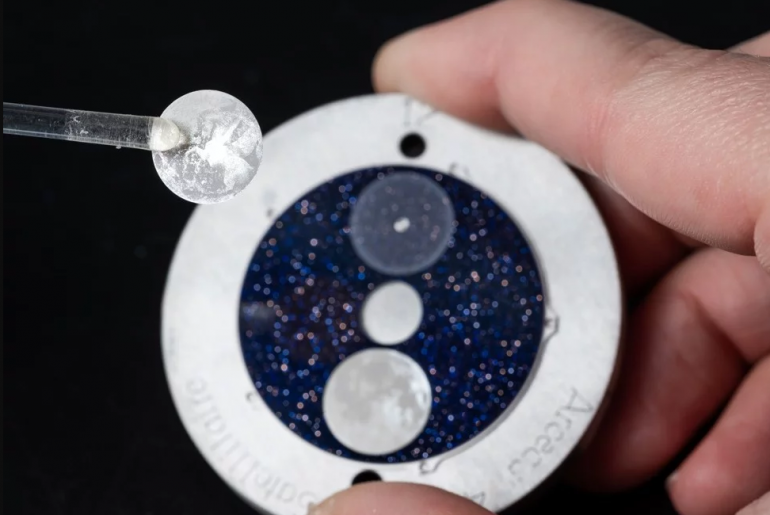 The two dials makes a full rotation around the dial once every 59 days, and offer the indication of the moon phases as they “eclipse” over moons indicating the southern and northern hemispheres. The dial of the Hermès Arceau L’Heure De La Lune. Offered in slate grey or starry aventurine, Hermès presents one of the most creative takes on capturing the moon on a dial in recent years. 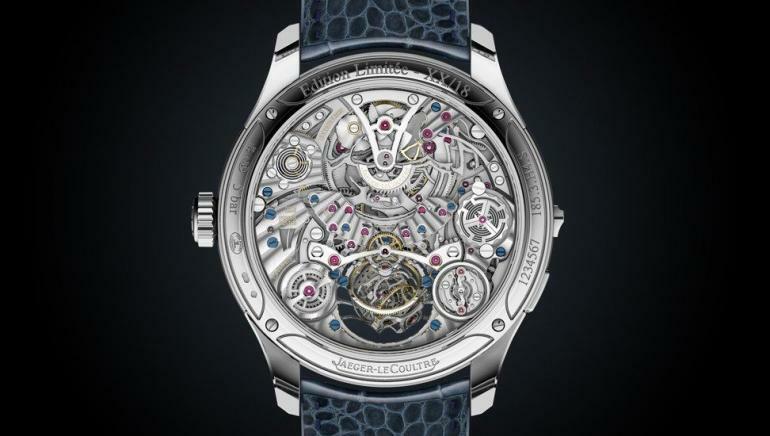 The name of Jaeger-LeCoultre’s complicated highlight this year is a mouthful, and it’s got an equally complex movement. The watchmaker opted to combine three incredibly complex features into its Grande Tradition this year, bringing the chiming function and the gyrotourbillon together for the first time. It’s a mechanical feat to house all of these functions in a case that measures 43mm in diameter and 14.08mm in thickness. 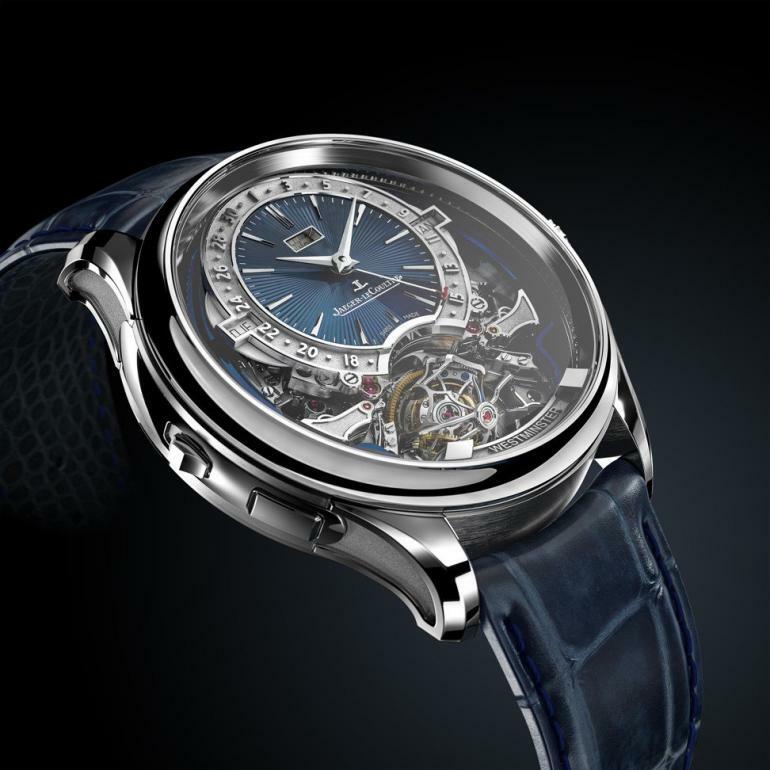 The house’s signature multi-axis tourbillon shares the space Westminster repeater that chimes the hours, quarters and minutes, while providing indication of a perpetual calendar on the top half of the face, leaving the bottom portion of the dial to showcase the miniaturised multi-axis tourbillon. 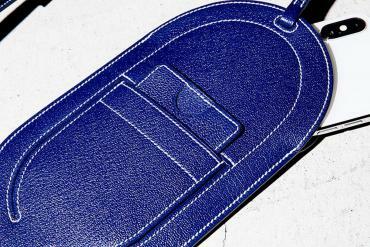 Only 18 will be produced, all in white-gold cases. 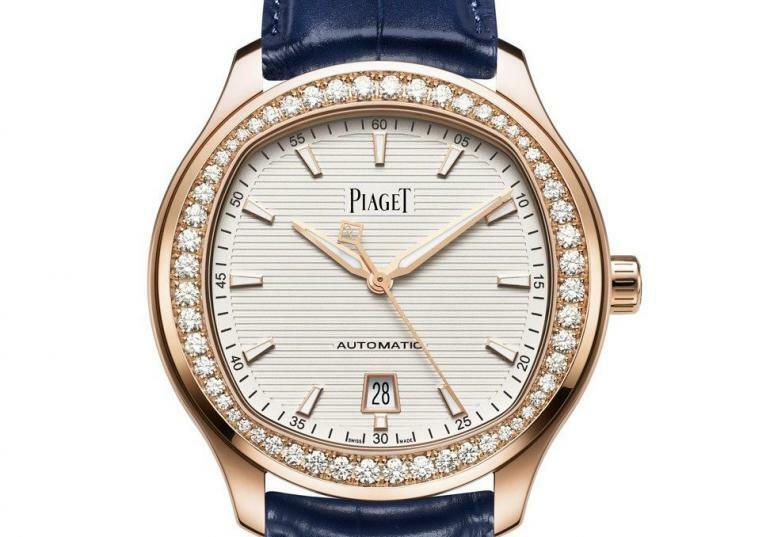 Piaget’s new Polo featuring a diamond-lined bezel. 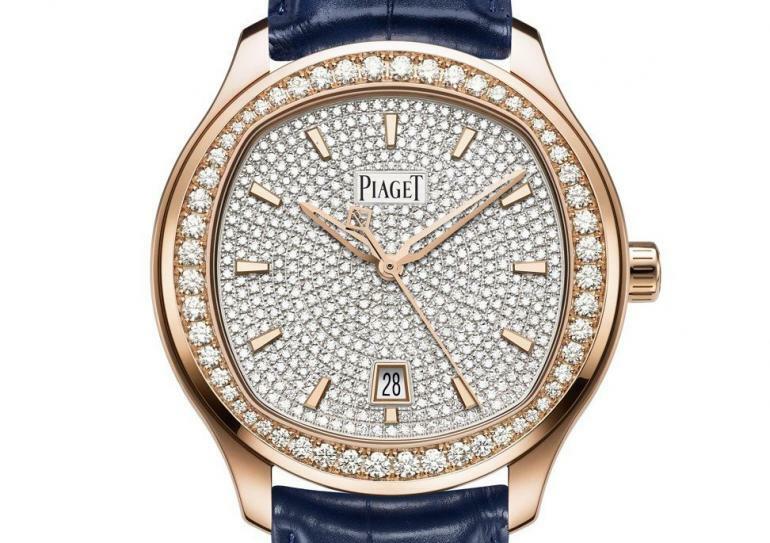 One of the great things about a large dial is that more diamonds can be fitted on it. 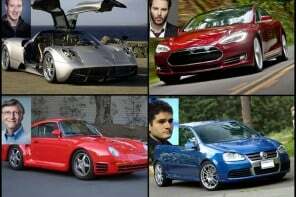 That’s exactly what Piaget decided to do with its sporty Polo this year. 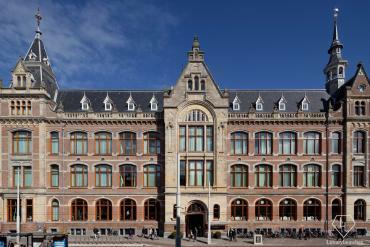 The watchmaker made two bejewelled versions, one with diamonds and the other with a LOT of diamonds. 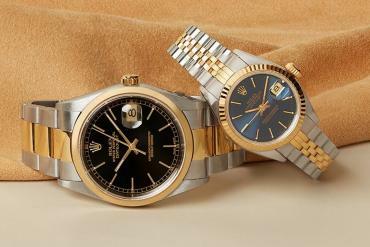 Both in red gold, the first features gems around the bezel, while the other has them beyond the case and on the dial. Both watches – in 42mm – offer a display of the hours, minutes, seconds and date, plus plenty of sparkle. 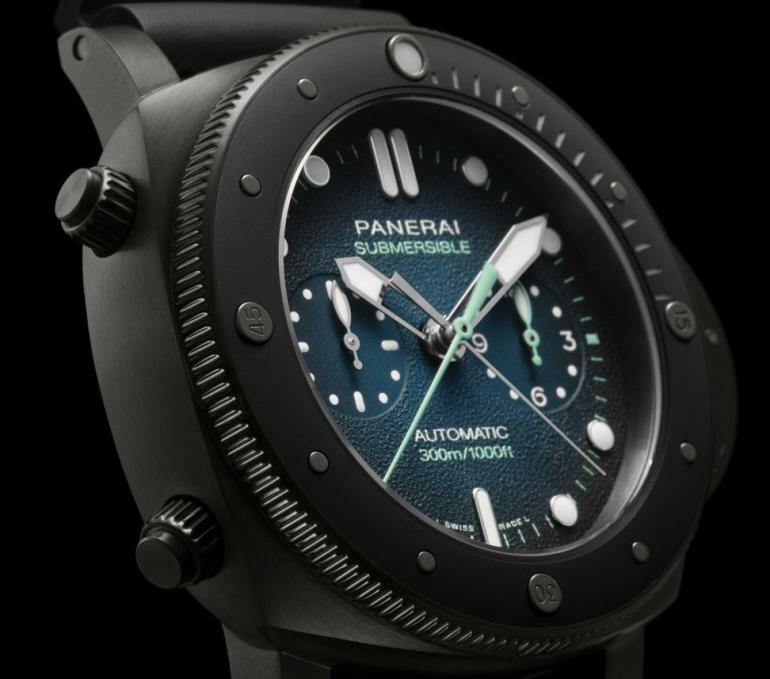 Panerai announced that the Submersible will break away as a stand-alone collection, independent of the Luminor series under which it was previously categorised. To mark the beginning of this collection, the watchmaker took the series back to its aquatic roots, and dedicated three timepieces to three unique oceanic adventures. The watches are each dedicated to Guillaume Nery, the record-breaking freediver, the Italian navy Marina Militare, and explorer and adventurer Mike Horn. Each of the limited-edition Submersibles comes with an experience with the respective parties, where the watch will be delivered during the adventure. 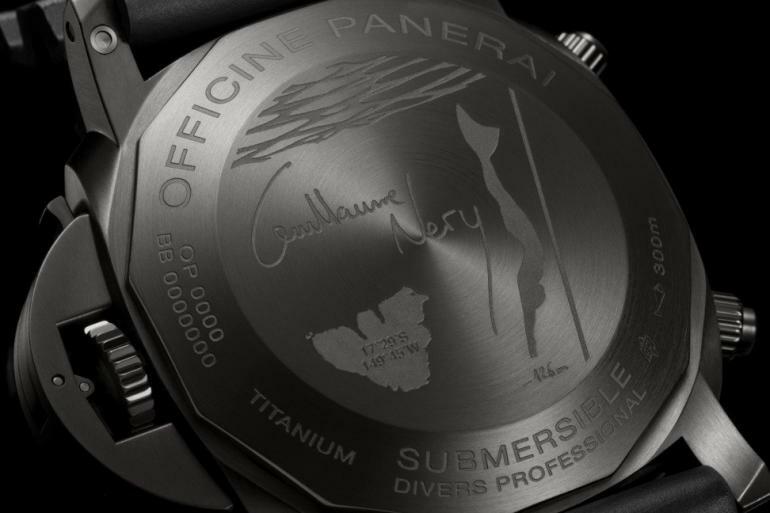 Paneria’s Submersible Chrono Guillaume Nery watch sports a unique engraved caseback that marks the depth of freediver Guillame Nery’s record-breaking free dive. Our personal favourite from Panerai this year is the Submersible Chrono Guillaume Néry Edition in an all-black titanium DLC case with a bluish-green gradient dial inspired by the colours of Polynesian waters. Befitting Nery’s daring adventures, the timepiece is water resistant to 300 metres, with a 72-hour power reserve. 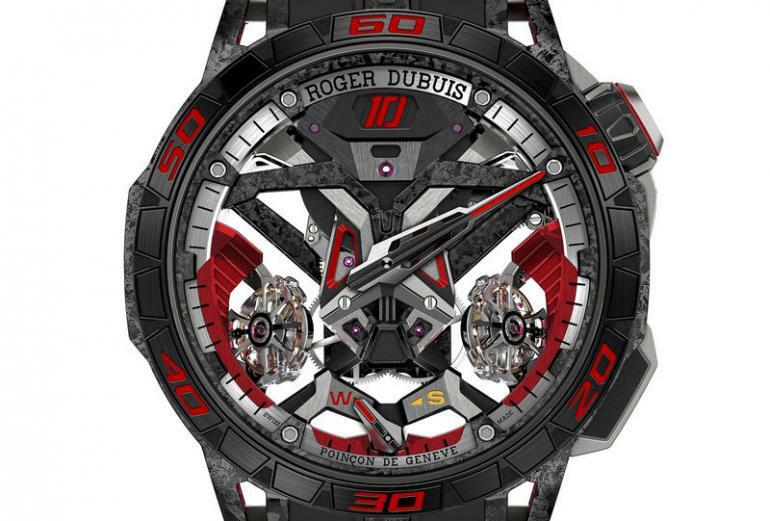 It’s the year of Lamborghini at Roger Dubuis. The watchmaker opted to extend its collaboration with the car maker to create the new Excalibur Huracán Performante, and announced the Excalibur One-off, inspired by the Lamborghini SC18 Alston hypercar, a unique piece of machinery that could set the way for one-of-a-kind watches going forward. Traces of the Alston can be found across the dial and on the case of the Excalibur One-Off. The most recognisable feature is the V-shaped flying tourbillon, made to look like the Alston’s engine. The digital jumping hour speedometer translates to a jumping hour display at 12 o’clock on the dial. Lamborghini’s other long-time partner, Pirelli, also lends inspiration to the timepiece by way of rubber straps that nod to the Alston’s tyres. It’s interesting to note that with you won’t find the Lamborghini logo on any of the these auto-inspired watches; it’s a conscious decision by the watchmaker take on a more thoughtful and creative approach to co-branding, instead of just slapping a logo on the dials. 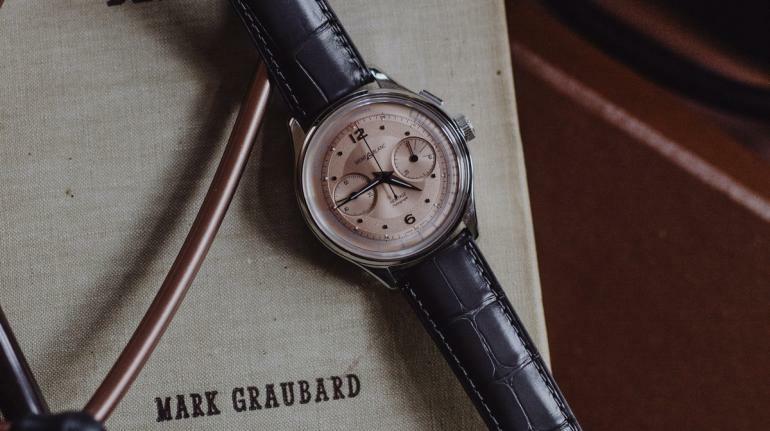 Montblanc joins the salmon dial trend with its new Heritage Pulsograph fitted with a Minerva movement, all of which are housed inside a stainless-steel, 40mm case. The pulsometer was invented to measure heart rate, one of the less common functions found in modern day wristwatches. 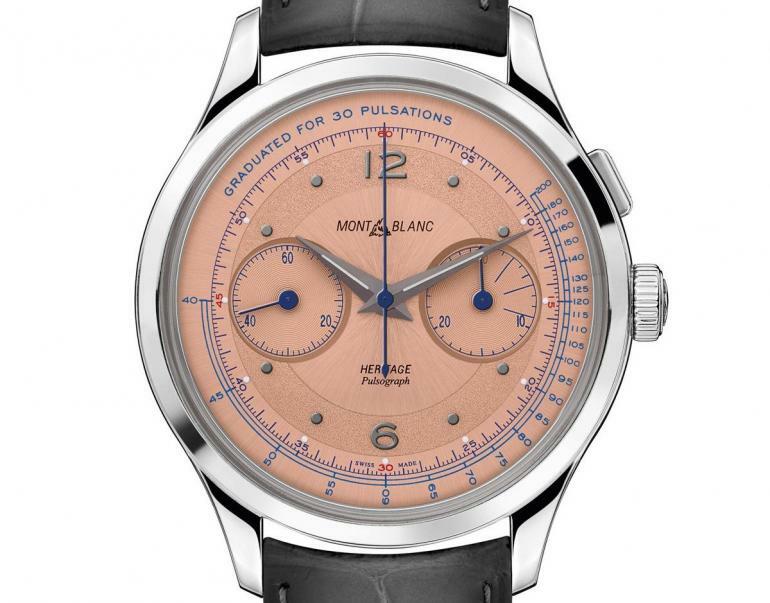 Montblanc’s Pulsograph is also a chronograph, and powering the timepiece is an in-house calibre inspired by the historic Minerva Monopusher Chronograph 13.20. 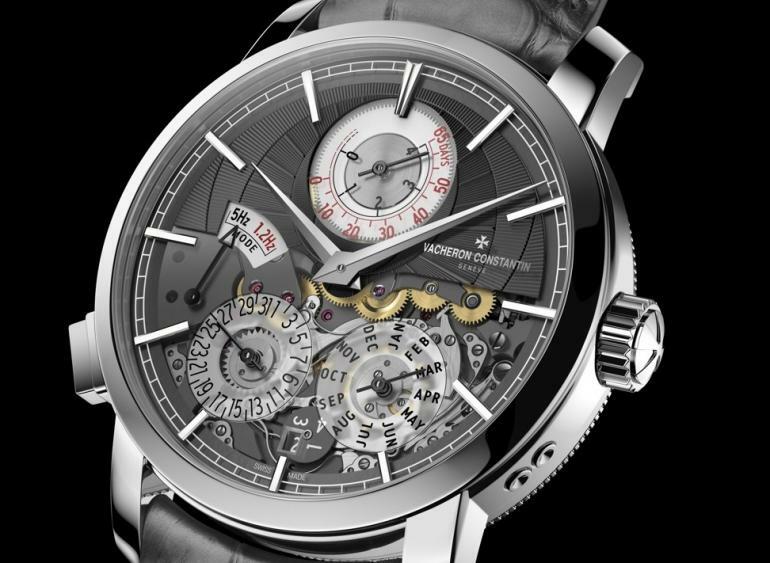 The movement, first introduced in the 1920, has been revived in recent years and used in various Montblanc timepieces. 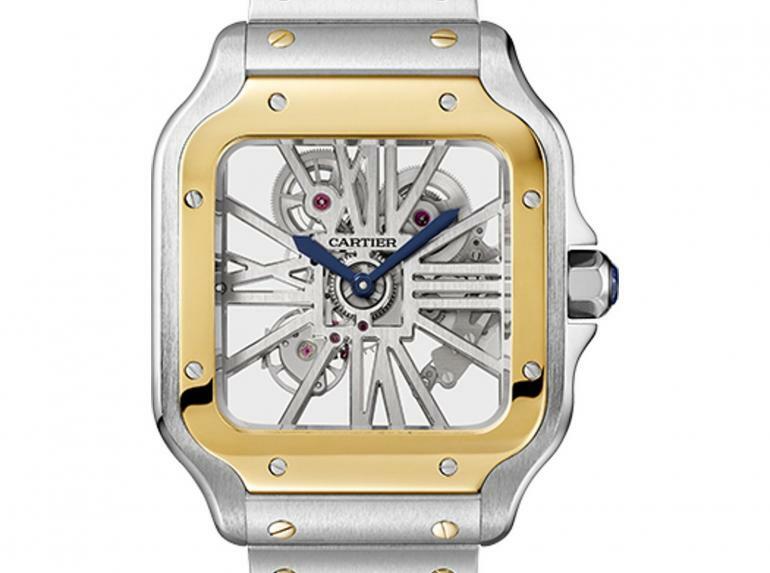 Cartier builds on the Santos collection that was relaunched at the same time last year, stripping down the dial to its bare essentials for a skeleton version of the square timepiece. 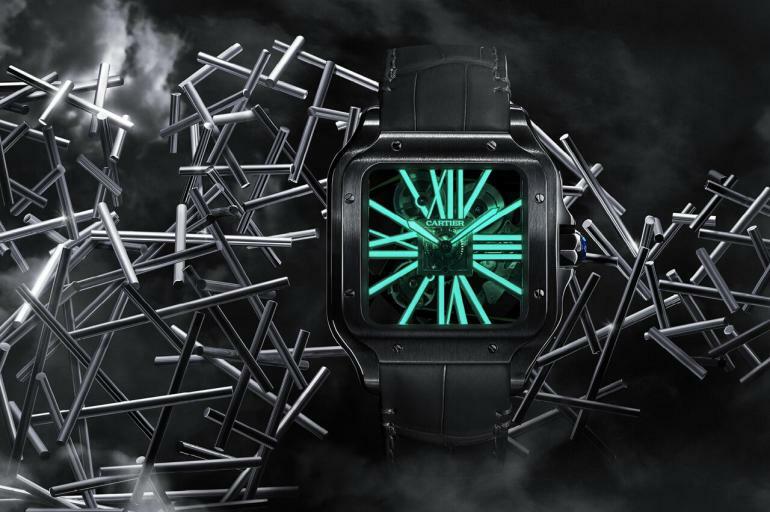 The Santos de Cartier Skeleton Noctambule stands out with its all-black case and strap. SuperLuminova is applied to the skeletonised bridges, numerals and hands. 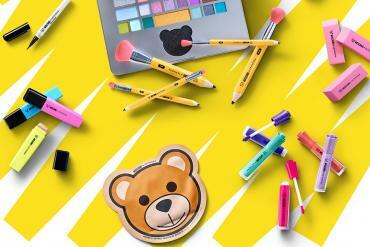 The collection extends to include other references in steel, gold and rose gold.